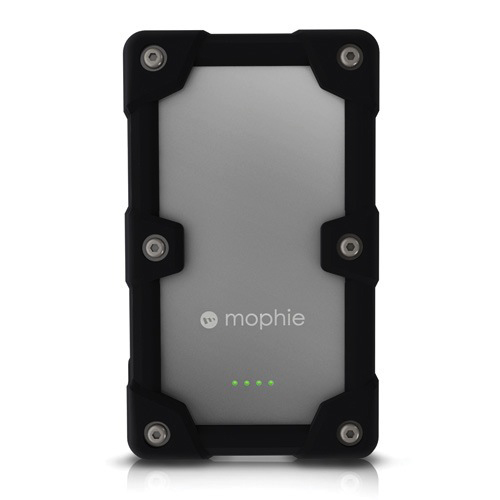 Mophie has introduced its new Juice Pack Powerstation Pro battery backup pack with a 6,000mAh internal battery capacity that can charge virtually any device over USB. Mophie wanted to make sure that you'll have power no matter where you are and in what condition you are in, so the Juice Pack Powerstation Pro is equipped with a steel, aluminum and rubber creating an impact resistant outer shell along with water tight USB and micro-USB ports. This has to be the toughest battery pack that we've seen to date. Mophie has yet to announce the price and availability. Update: We've got more details - the Juice Pack Powerstation Pro will be available in February for $149.